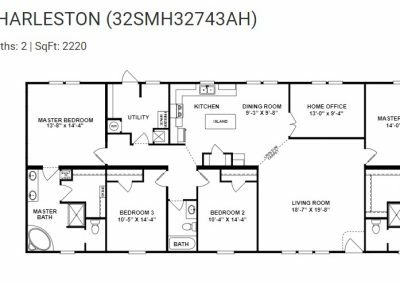 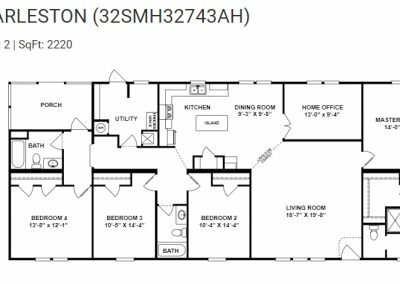 The Charleston Model is a 3 bedroom 2 bathroom home with approx 2,200 square feet of living space. 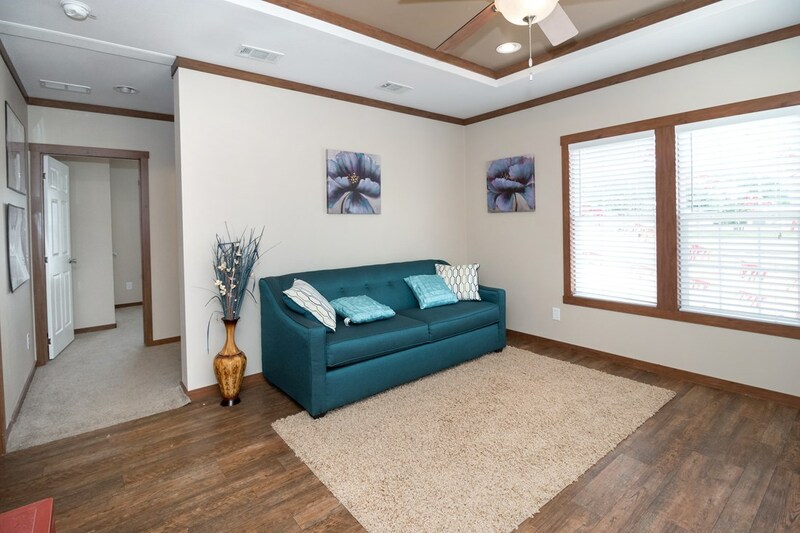 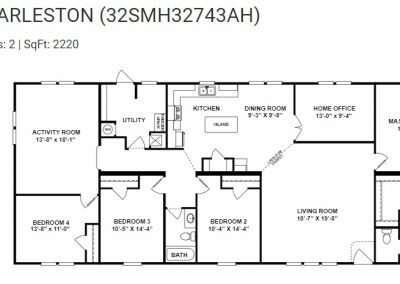 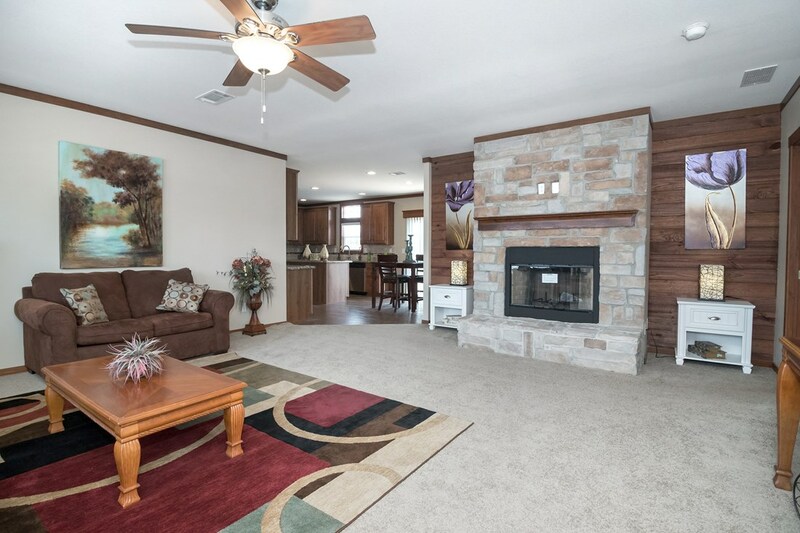 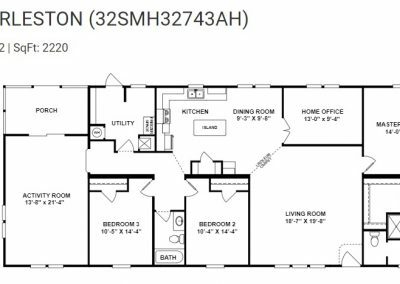 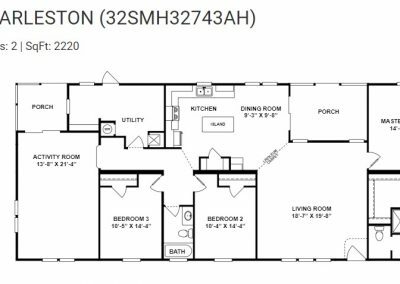 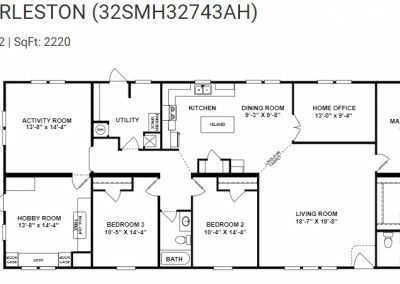 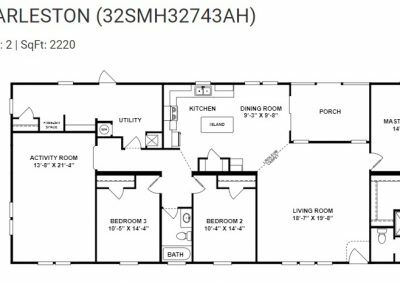 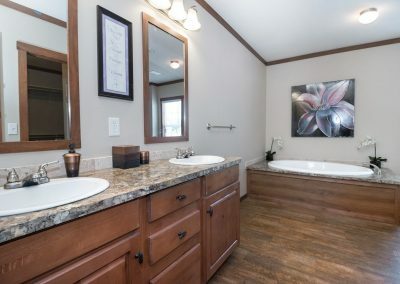 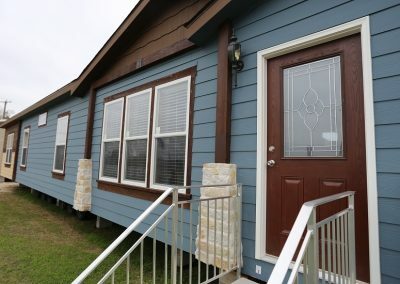 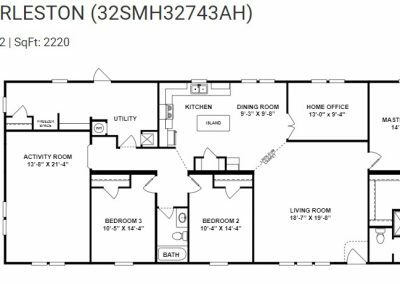 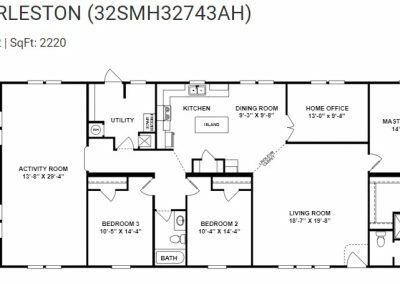 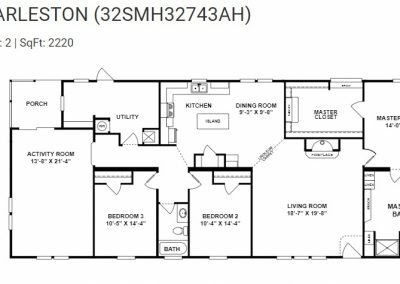 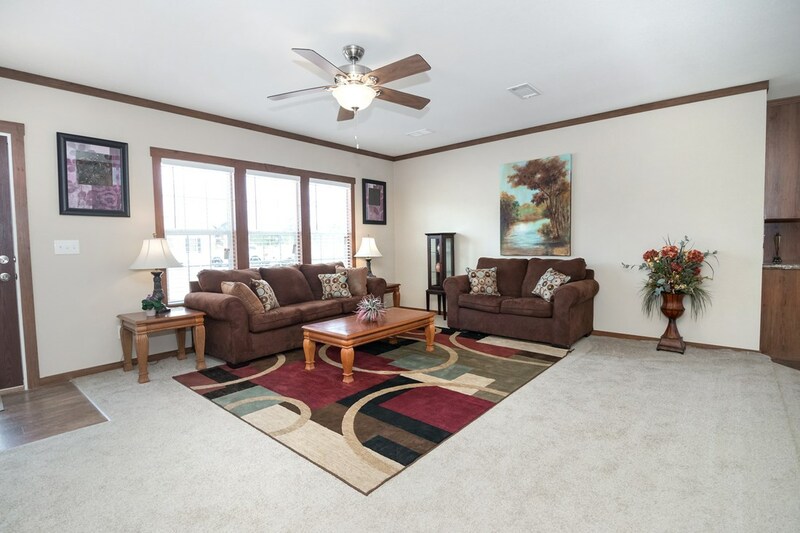 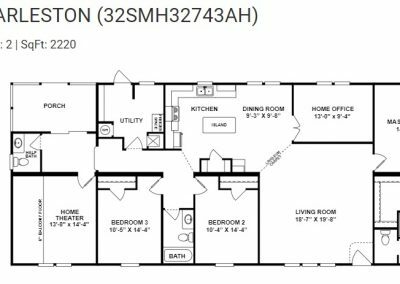 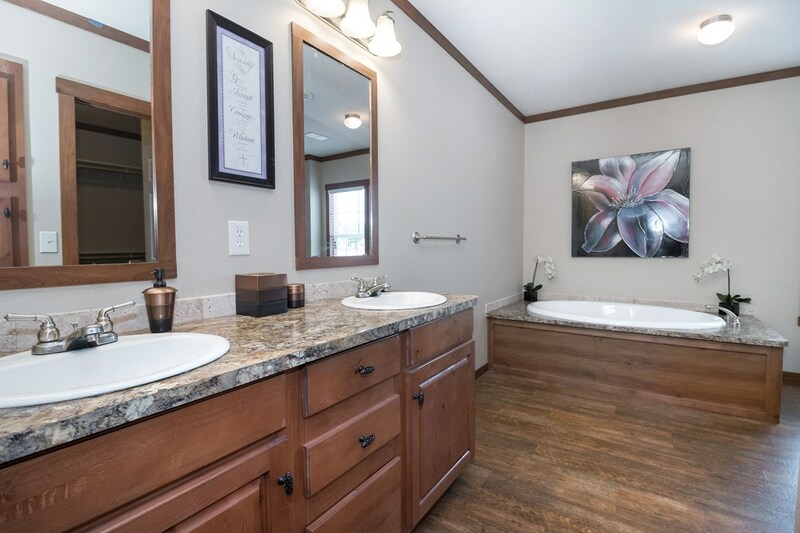 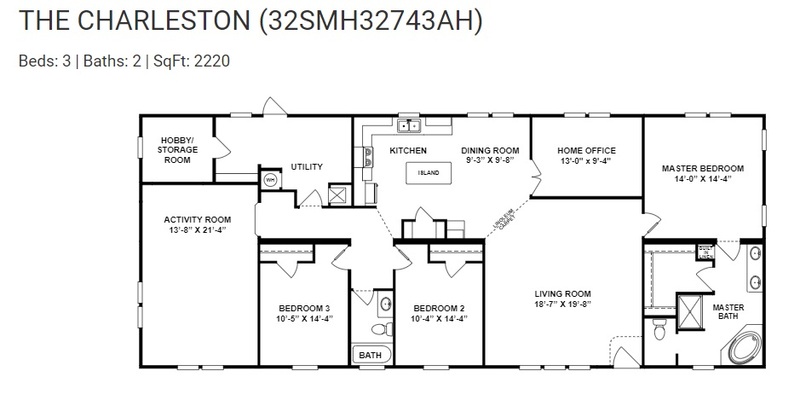 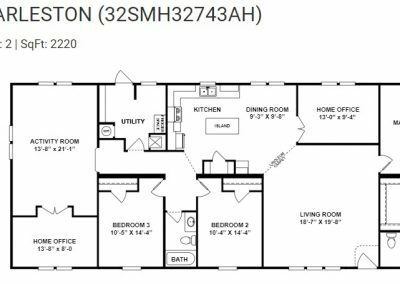 This very large 3 bedroom 2 bath double wide mobile home features a huge master bedroom Check out our huge gallery of pictures or view an online tour of this model today! 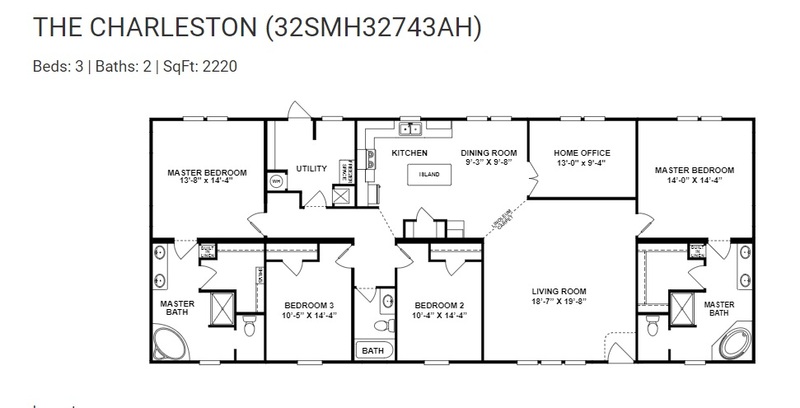 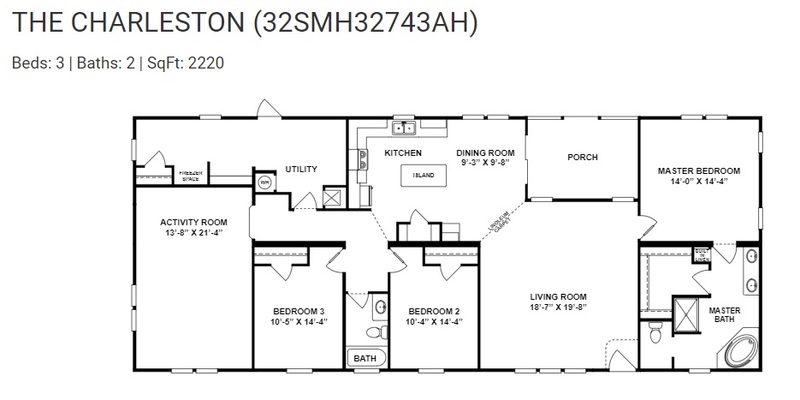 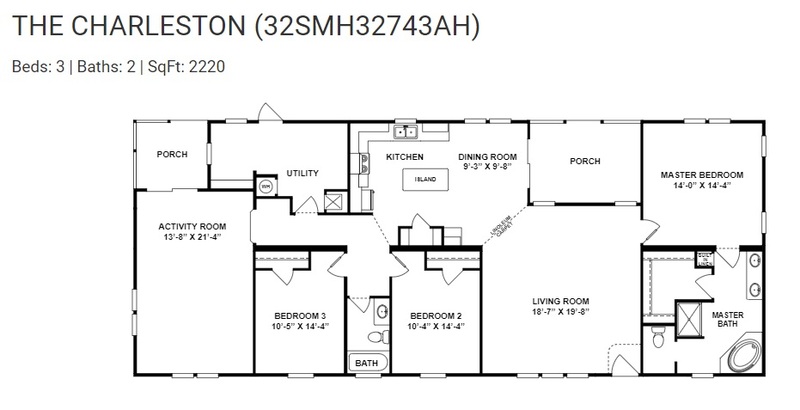 Dozens of floor plan options allow you to customize this unique home the way you want! 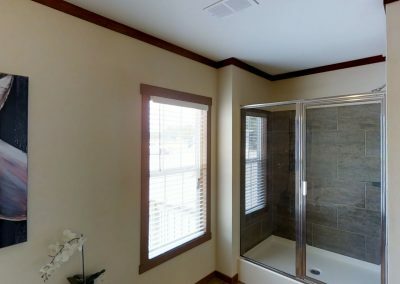 Buy New Homes from us. 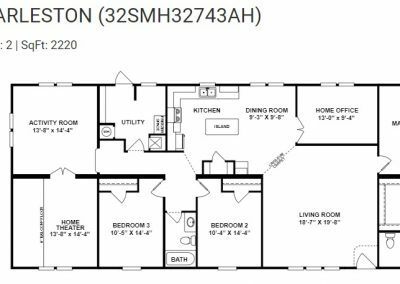 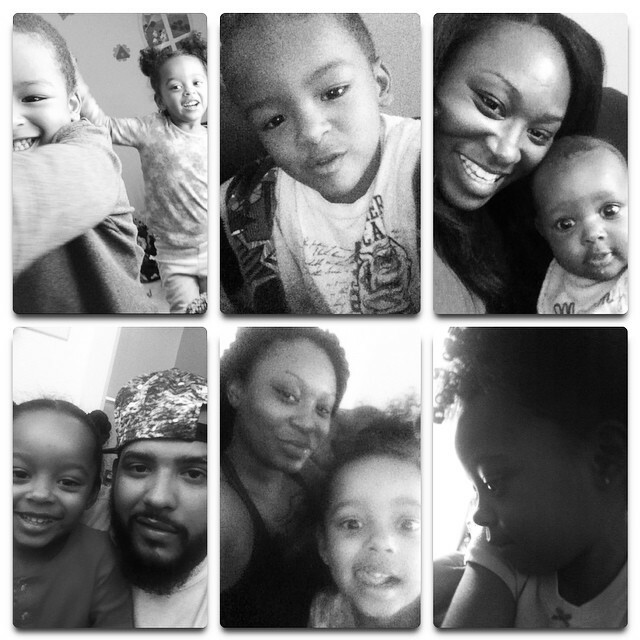 1, 2, 3, 4, 5, up to 10 bedroom homes. 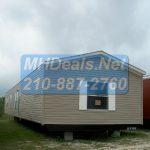 Tiny Home sales, Cabins, Manufactured Homes, Modular housing & Crew quarters. 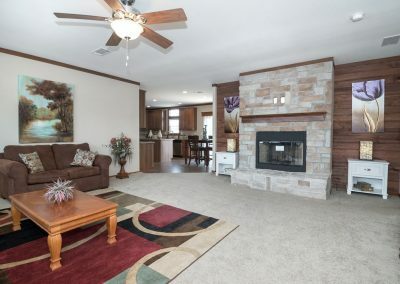 Buy Used Homes from us. 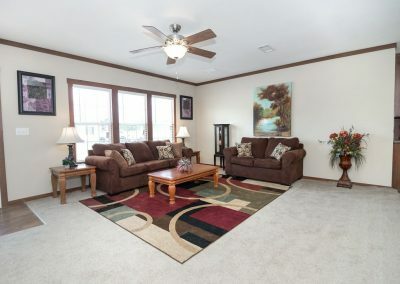 We sell all conditions of used homes with limited warranty. 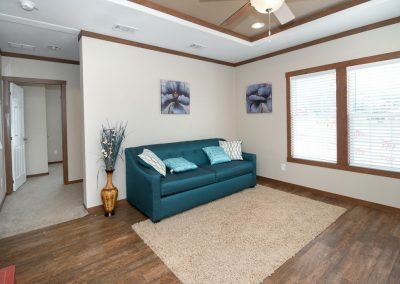 1st come 1st serve on used homes. 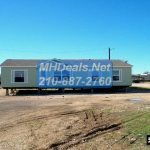 Some homes are needing to be transported some are already on land. 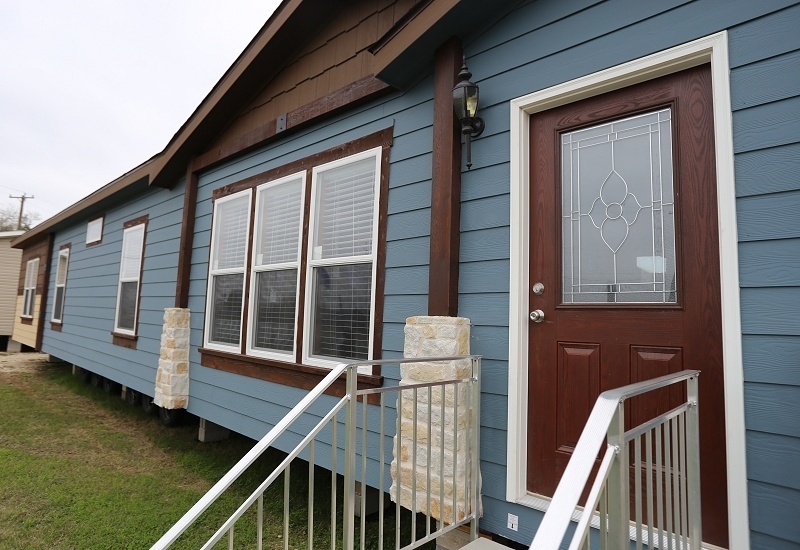 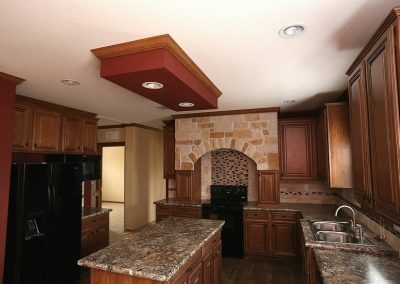 We are one of the largest suppliers of Crew Housing in Texas. 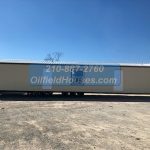 With hundreds of units a year sent to the oil patches and gas fields of Texas. 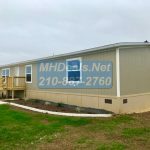 Our crew housing & oilfield man camp homes are affordable and have all you need to house your employees. 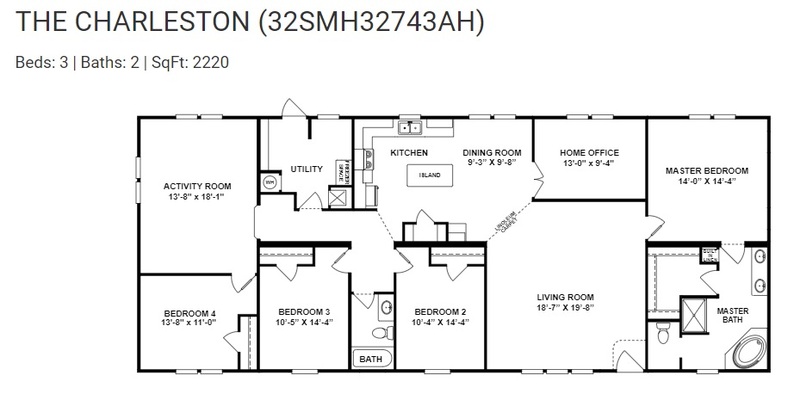 3,4,5 up to 10 rooms. 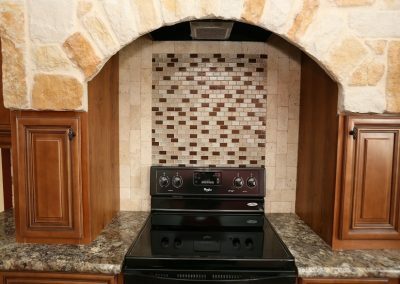 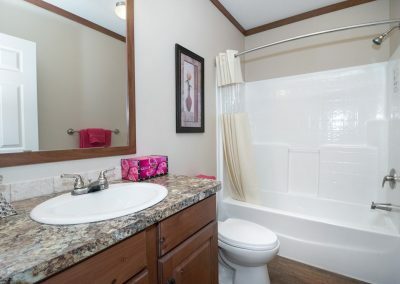 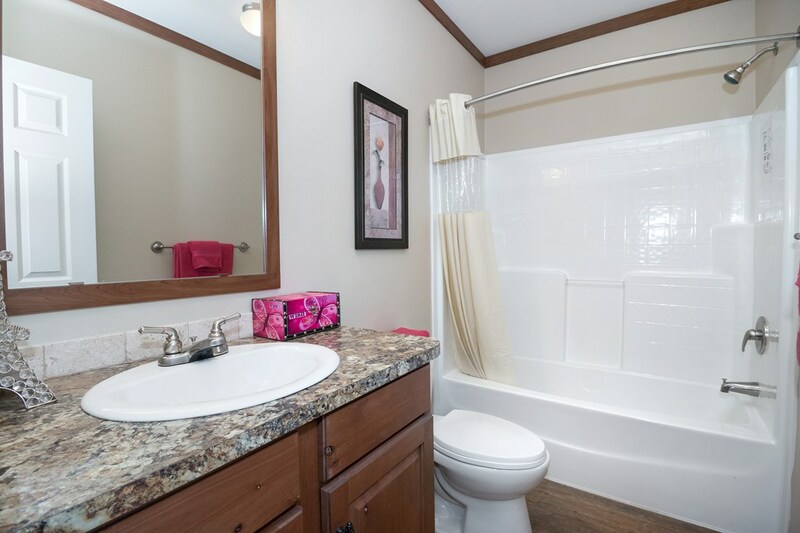 most come with full facilities such as A/C, washer/dryer connections, full kitchen & more. 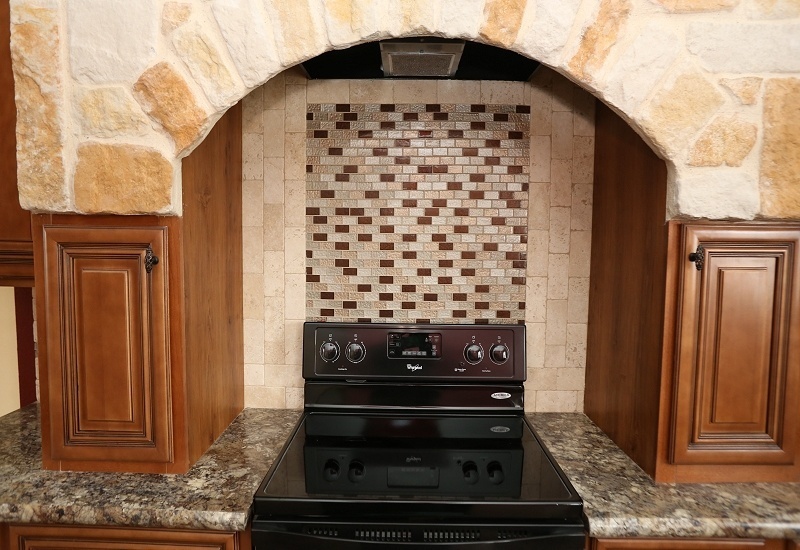 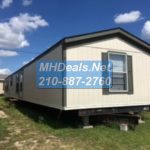 We are one of the largest distributors of Tiny homes in Texas. 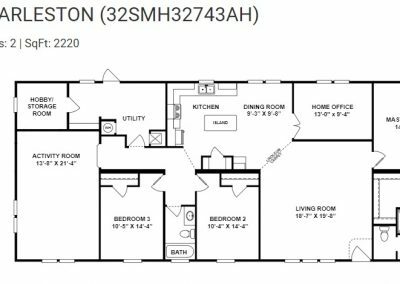 With many homes in stock to see in person we offer more than most when it comes to available Tiny homes & pricing.